The research team for family cardiovascular, sudden death and disease mechanisms (CaFaMuSMe) at the La Fe Health Research Institute (IIS La Fe) has participated in an international study that has identified a new causal factor in hypertrophic cardiomyopathy, heart disease most frequent hereditary, reported by the government in a statement . In the work, published in the latest issue of the Journal of the American College of Cardiology (JACC), the relationship between a new gene (FHOD3) and the development of hypertrophic cardiomyopathy is established. In the study, DNA was sequenced by more than 7,000 individuals and selected some families with hypertrophic cardiomyopathy followed for three years at more than 40 centers. Based on the results of the studies, patients and relatives with hypertrophic cardiomyopathy will benefit from a more precise diagnosis that will affect their management and follow-up. In addition, the discovery opens a new research line for the future in the process of new potential treatments, according to the same sources. Hypertrophic cardiomyopathy is the most common hereditary heart disease, affecting 1 in 500 individuals. This disease is associated with an increased risk of cardiovascular problems (sudden death and heart failure) and a deterioration of the patient's quality of life due to the symptoms. The disease occurs because there are mutations (changes at the DNA level) in genes that are important for the development of the heart muscle, making it disproportionately thick (left ventricular hypertrophy). Despite scientific progress, the genetic cause of the disease cannot be identified in more than half of the patients. So far, the relationship between the FHOD3 gene and the development of hypertrophic cardiomyopathy could not be demonstrated. Following the study, mutations in this gene represent a significant percentage of the disease case. Professor Valentín Fuster, editor of the Journal of the American College of Cardiology (JACC), emphasized the importance of describing a new gene in this disease, something that has not happened for years. Since FHOD3 fulfills a function that differs from the classic genes associated with this pathology, a whole new line of research is opened with unpredictable consequences for the future, both in terms of diagnosis and possible treatments. An initial study in a large family of Murcia generated the hypothesis of FHOD3's causal relationship with hypertrophic cardiomyopathy validated throughout the article. The research team. 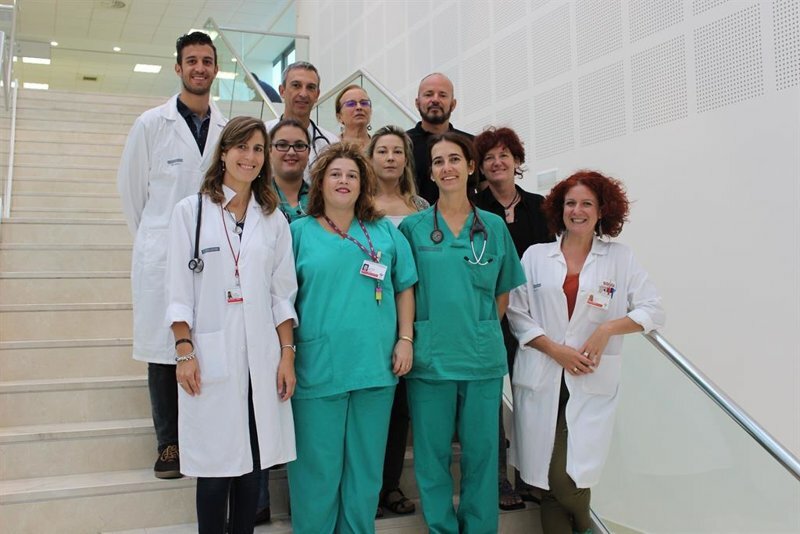 CaFaMuSME, coordinated by Dr. Esther Zorio, has been actively involved, including a family whose study had begun recently, following the careful analysis of the autopsy by sudden death at one of its members of the Institute of Legal Medicine and Forensic Medicine in Valencia, thanks to the work and direction of Dr. Pilar Molina and Dr. Juan Giner. The original genetic study of the deceased failed to identify a mutation that would explain his or her disease or could contribute to the assessment of family members at risk. With the information in the published article, this scenario has been completely changed. Due to its size, the complete JACC study was delayed for more than 3 years and included the synergistic effort of cardiologists, geneticists, pathologists, molecular biologists, technicians, and administrative personnel. This scientific contribution represents the joint work of the innovative company Health in Code, the state research organizations, the healthcare sector represented by the family cardiopathy units in each hospital and forensic field, dependent on the justice administration where the Institute of Legal Medicine. Although the publication is born from the experience of cardiovascular genetics, it is seeking to provide answers that improve the patient's clinical management. That is, transforming knowledge into personal medicine that applies to each patient in particular, and especially to their relatives. These will benefit from better screening strategies to detect if they are at risk or not to suffer from the disease before it is clinically expressed.